Manual for up to 4" wide tape. The B-6 is currently out of stock. 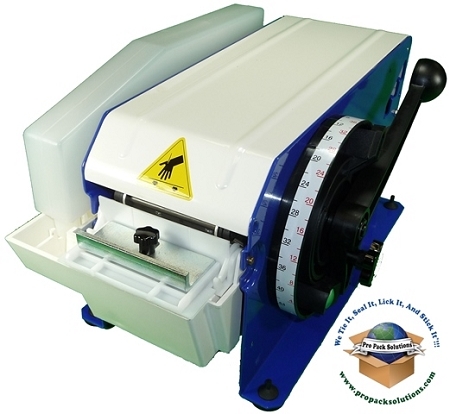 Designed for the low volume user - up to 50 cartons per day - the B-6 (also known as the CMT-102) offers a large moistening brush with variable water level and adjustable pressure plate guarantying optimal tape moistening for secure carton sealing. Tape is dispensed, moistened and cut by means of a simple hand lever. A large capacity water tank eliminates the need for frequent refilling. 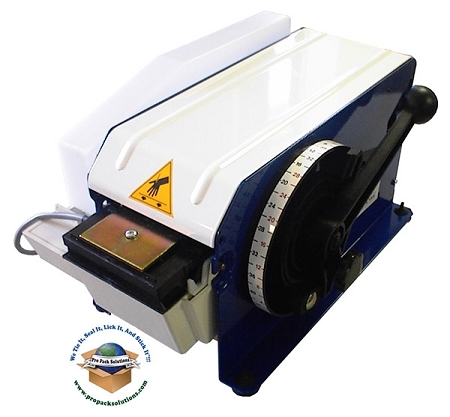 The best feature of the CMT-102 is that it offers one of the longest single lever stroke tape dispensing in the industry - up to 42" - repeated lever strokes provides even longer lengths. The optional HC100 heater kit is available for field addition to provide more efficient glue activation even in cool packing and shipping area environments. This type of heater is standard on all electronic models. The real Cyklops machines are manufactured in Italy. Don't be fooled by the cheap China import. Special pricing limited to inventory on hand. Factory Warranty: Six months parts and labor. Follow this link to the parts list - Need replacement parts? We carry most of the popular parts in stock. Click here for the operators manual.